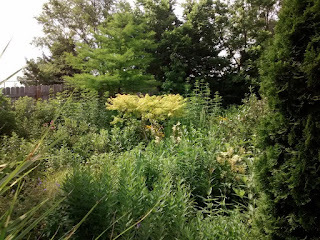 This is the first year I left "unsightly" stems very high in my garden during the late April cut down. 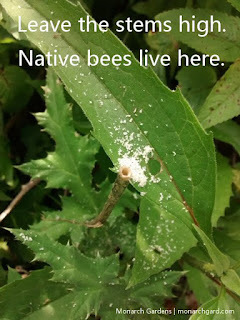 Common advice says to cut things down to about 6", but that erases possible homes for our many native bees. With 2' stems all over the place, and all covered by dense garden foliage, I can hear the garden as bees pulse and buzz in stems all over the place. Do you see any stems in this image? I guarantee that you can hear them, though (if the lawnmowers ever stop). 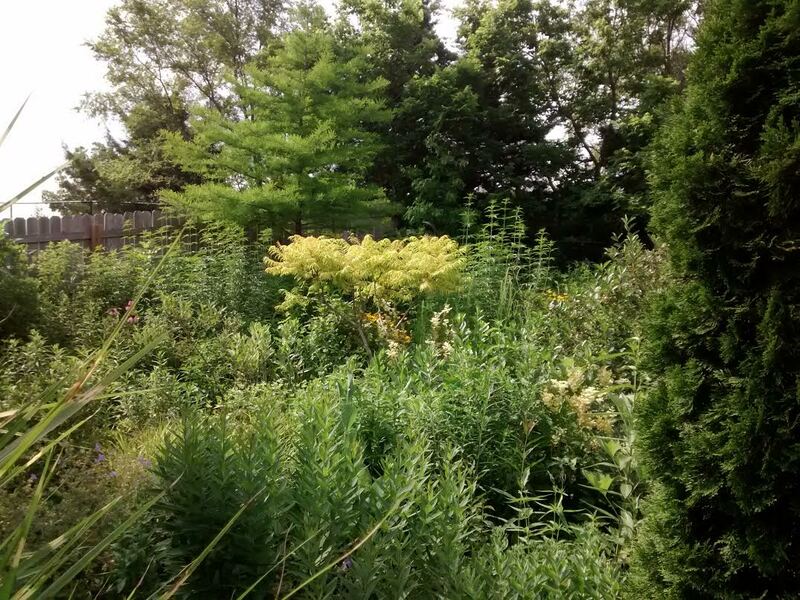 I had never left stems on during the growing season, only during the winter. But it sounds like there's a need to be more thoughtful in maintenance, as I harp on others' poor work daily.